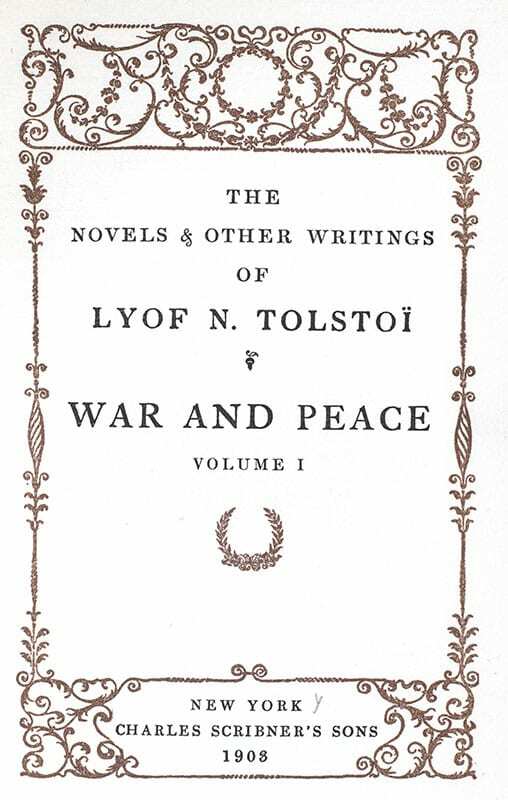 The Works of Leo Tolstoy. Including: War and Peace, Anna Karenina, Resurrection. New York: Chrales Scribner's Sons, 1903. 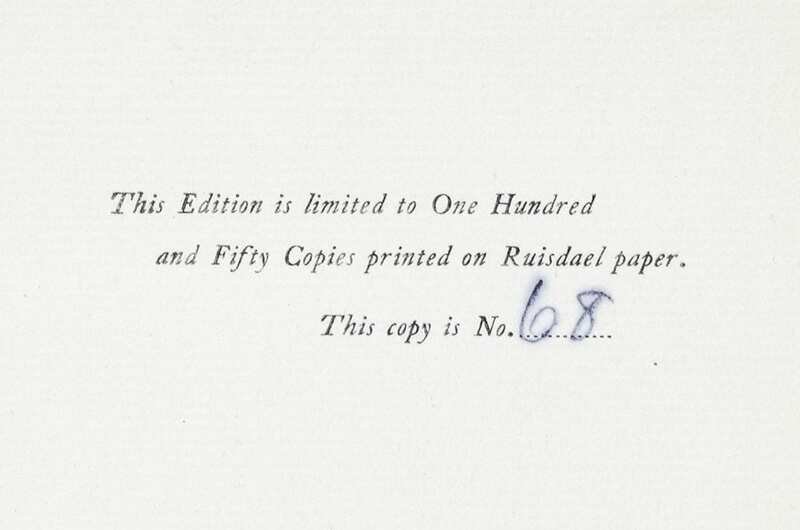 Limited edition of the works of Leo Tolstoy, one of one hundred and fifty copies printed on Ruisdael paper, this is number sixty-eight. Octavo, 25 volumes. Bound in three quarters morocco, gilt titles and tooling to the spine, raised bands, gilt ruled to the front and rear panels, top edge gilt, marbled endpapers, two frontispieces to each volume. In very good condition, with volume one bound upside down. Born to an aristocratic Russian family in 1828, Leo Tolstoy is best known for the novels War and Peace and Anna Karenina, often cited as pinnacles of realist fiction. 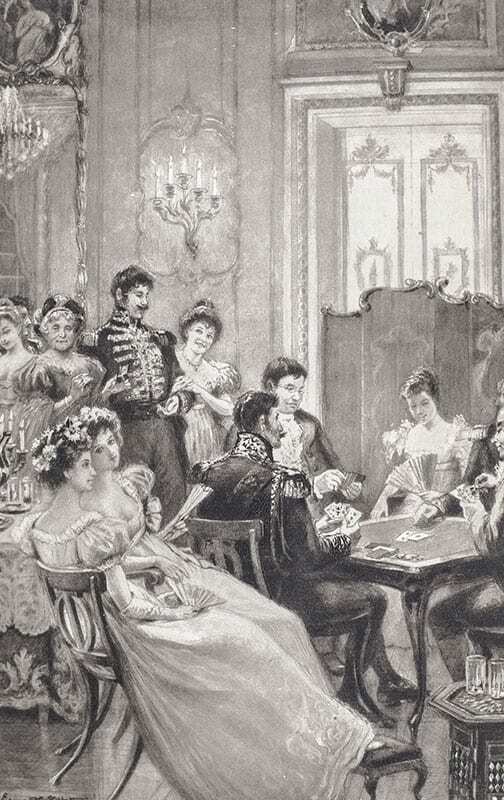 He first achieved literary acclaim in his twenties with his semi-autobiographical trilogy, Childhood, Boyhood, and Youth (1852–1856), and Sevastopol Sketches, based upon his experiences in the Crimean War. Boston: L.C. Page & Company, Publishers, 1904. 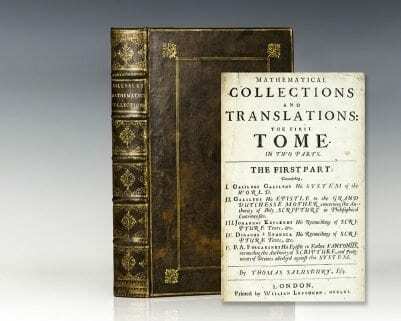 Finely bound works of the Russian master Leo Tolstoy. Octavo, 14 volumes. Bound in three quarters morocco, gilt titles and tooling to the spine, raised bands, gilt ruled to the front and rear panels, top edge gilt, marbled endpapers. In very good condition. New York: Thomas Y. Crowell & Co. Publishers, 1887. 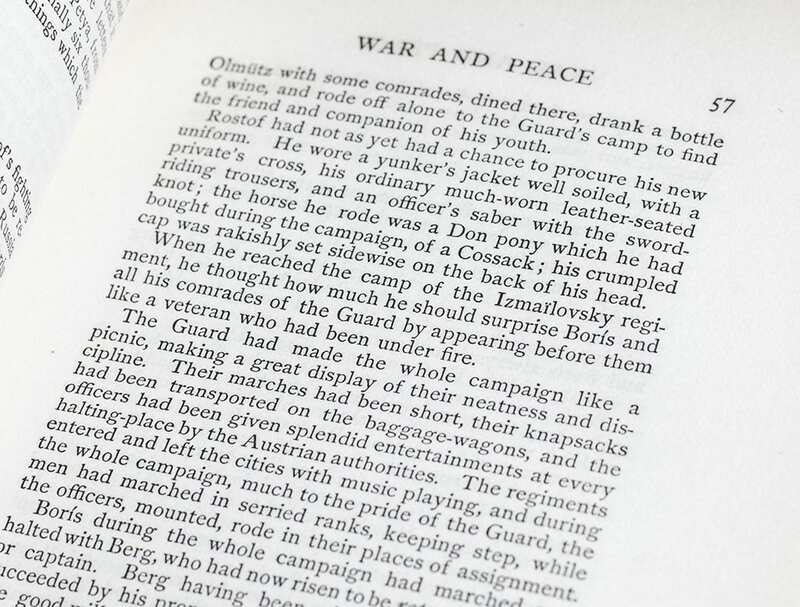 First American edition in English of Tolstoy’s short story in reference to the Catholic hymn Ubi Caritas. Small octavo, original cloth with elaborate gilt tooling to the front panel. 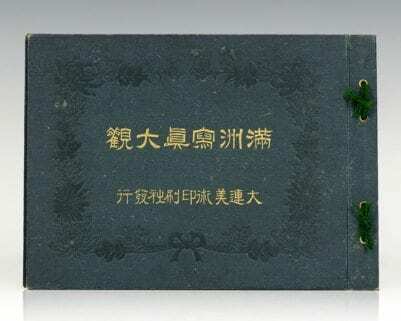 Translated by Nathan Haskell Dole. In near fine condition. First editions are rare. New York: William S. Gottsberger, 1886. 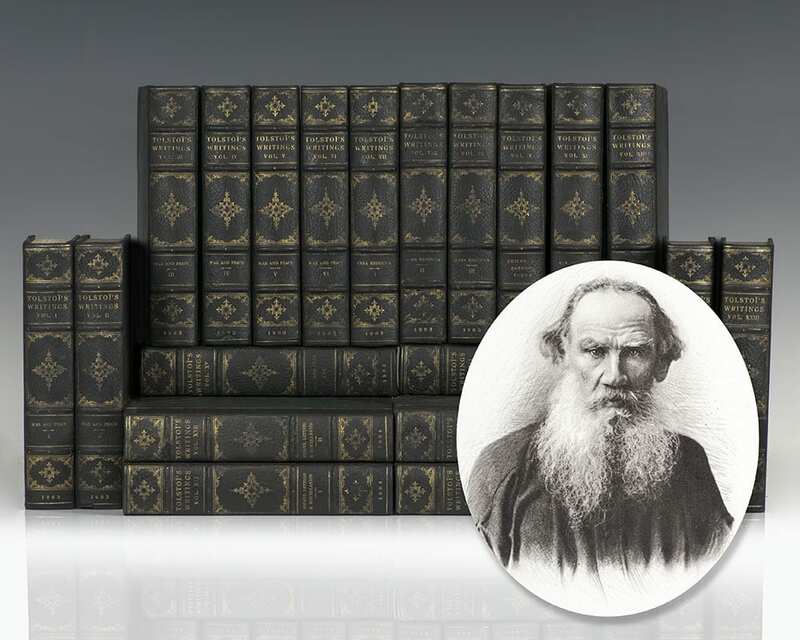 First editions in English of Tolstoy’s masterpiece; one of the most important novels in world literature and widely considered the greatest novel ever written. 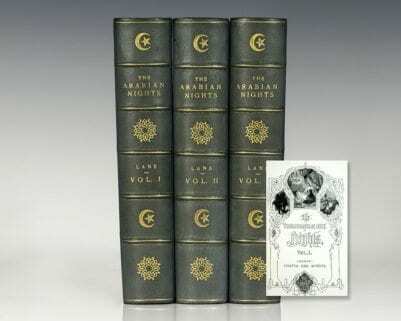 Small octavo, six volumes, bound in contemporary three quarters morocco over marbled boards with gilt titles to the spine. Translated into French by ‘A Russian lady’ and from the French by Clara Bell. In near fine condition with light wear to the extremities. An excellent set of Tolstoy’s masterpiece. 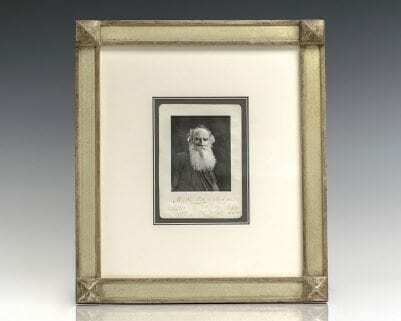 Rare halftone photographic portrait of Russian literary master Count Lev Nikolayevich Tolstoy (Leo Tolstoy) inscribed by him two years before his death at the age of 82 in 1910, “M.A. Pototsky, Lev Tolstoy 1908, 11 October.” Towards the end of his life, Tolstoy became a passionate advocate for the economic thinking of Henry George, incorporating it into his later works including Resurrection of 1899 and A Letter to a Hindu of 1908. Georgian theory had become widely popular in the early 19th century and sparked several reform movements throughout the Progressive Era in the United States; George’s book Progress and Poverty of 1879 sold millions of copies worldwide and provided a critical investigation of the paradox existing between the increase in inequality amid economic progress in the United States. 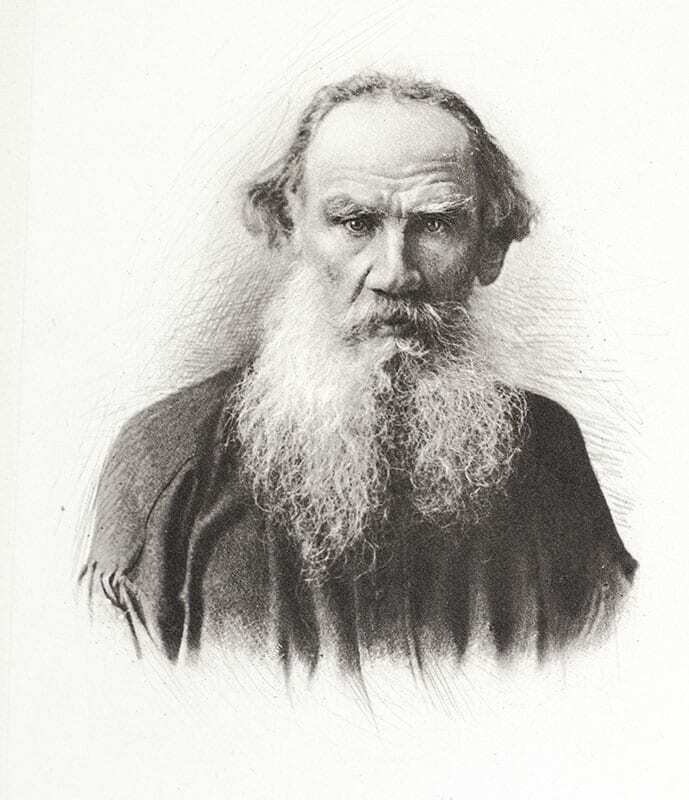 Tolstoy’s 1899 novel Resurrection hinted at these leanings with its heavy criticism of the justice system and suggestions towards collective self-governing communities; his 1908 Letter to a Hindu which outlined his belief that non-violence could be the means for India to gain independence from British colonial rule opened up a correspondence between him and the young Mahatma Gandhi who later referred to Tolstoy as “the greatest apostle of non-violence that the present age has produced” in his autobiography, The Story of My Experiments with Truth. Tolstoy’s correspondence with Gandhi lasted until his death in 1910 and inspired Gandhi to name his second ashram in South Africa the Tolstoy Colony. Matted and framed. The entire piece measures 15.25 inches by 17.25 inches. Rare and desirable signed by not only one of the greatest masters of realist fiction, and one of the earliest influential advocates for the use non-violent resistance.